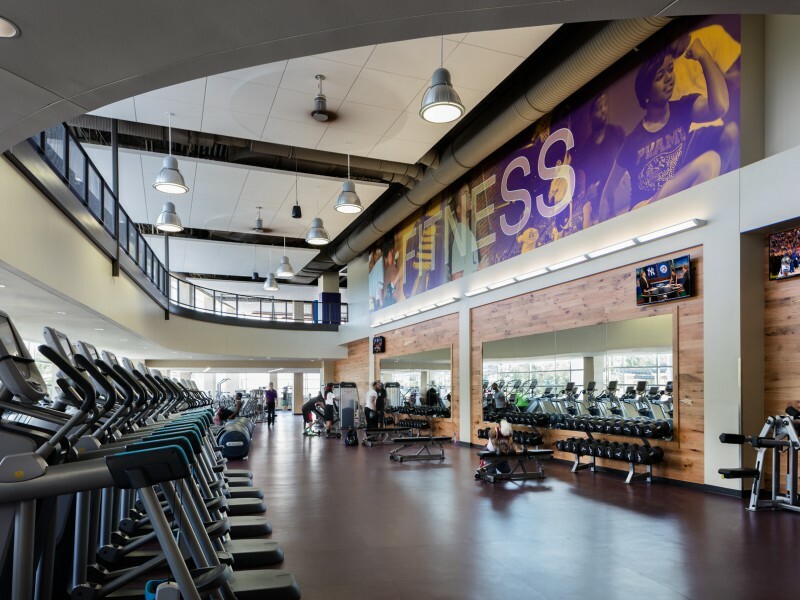 As part of a student led effort to promote health and wellness, Prairie View A&M University undertook efforts to provide an updated recreation facility and practice venue for current students. Moody Nolan worked in association with Smith and Company Architects for this new 92,000 sq. 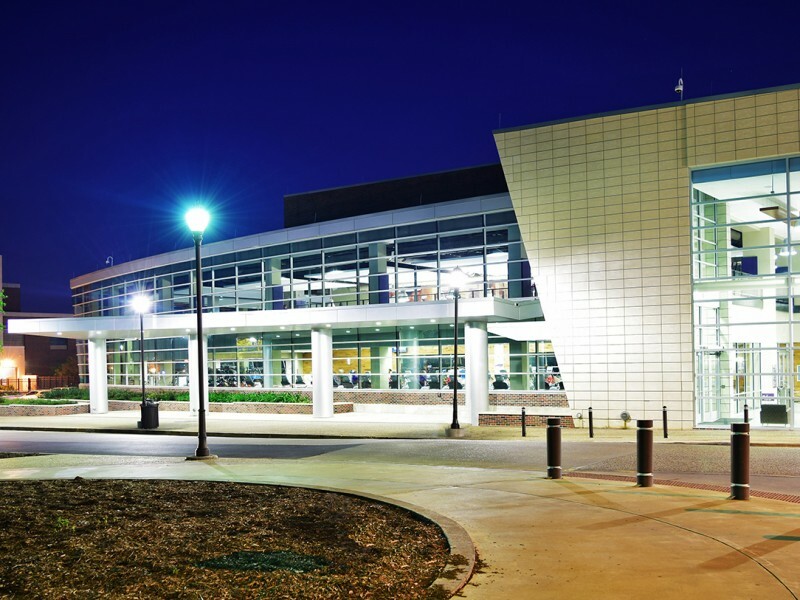 ft. Student Recreation Center that surrounds the existing natatorium and connects to the Billy Nicks Field House. Based on student needs, the new building accommodates outdoor pursuits, childcare, a demonstration kitchen, an indoor running track, a climbing wall, gameroom, student study space, a multipurpose gymnasium / ballroom space, multipurpose space, weight training, an outdoor patio connected to the pool, and even a health bar. 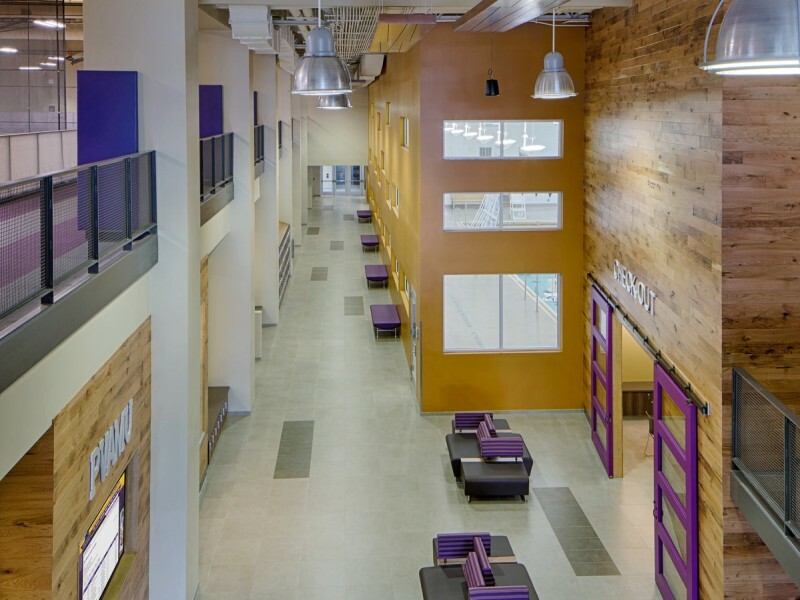 The design is organized around connectivity to the campus and the various activities housed in the building. 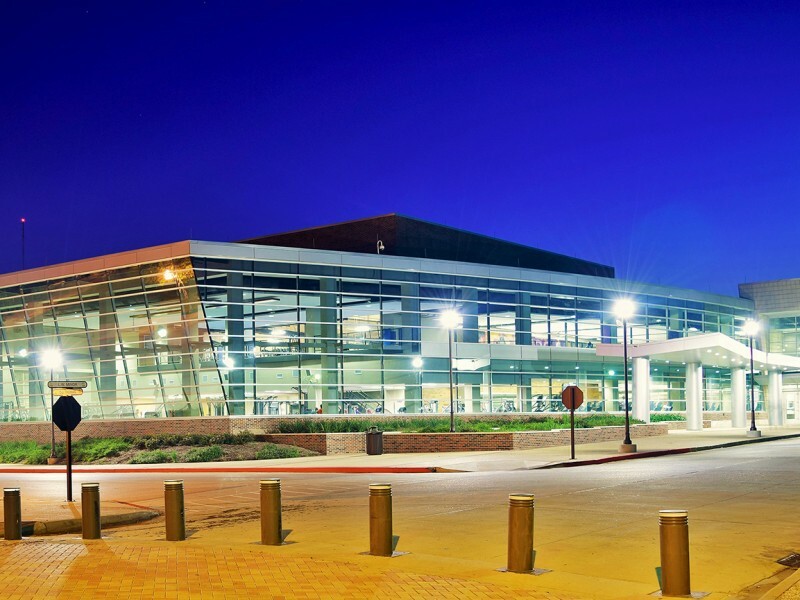 As you enter the building, you have immediate visual access to the pool, fitness, gymnasium, basketball arena, juice bar, locker areas, and welcome desk from the double height entry. The overall building form provides a single entry gathering sequence that creates a gateway from the campus to all athletic activities. The building exterior is a reflection of how its interior organization sustainably responds to the southwest environment. The large glass façade on the north provides natural light and visibility of the active fitness environment as you approach the building. As you move around the building, the skin becomes more solid minimizing solar heat gain and providing appropriate lighting for multipurpose space.